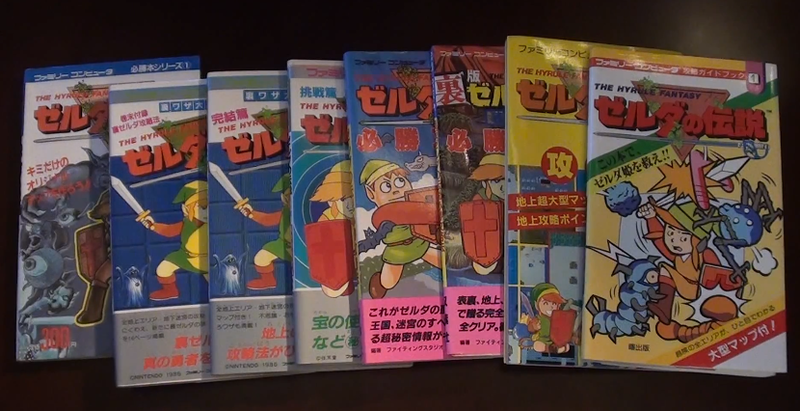 In the latest collection video, we look at even more Strategy Guides from the original Legend of Zelda. This is the fourth part in a series within the series, where I look at many of the strategy guides from the original game. Even after this video, I’ve only gotten through 8 of the Zelda guides from the original game and I have a lot more to go. What’s so great about these old guides is that many of them had their own exclusive artwork for all the enemies, characters, items, and bosses. In this particular video, I recap some of the previous guides that I had already looked at, while also looking at two brand new guides. This includes the Dawn Publications Guide, and the Akita Shoten Guide. I still have plenty of other guides in this series that I will be showcasing in future collection videos, so be sure to subscribe to our YouTube Channel to check out all the latest goodies. For now, go ahead and make the jump to see the collection video.